I do have a soft spot for concept cars. This one was designed and built to show F1 could be a bit safer. Didn't take off though. Open wheel racing is just that, open wheel racing. Covering the wheels isn't what punters want to see although sources say this would have been a lot faster than the F1 cars of its day. The Sigma is very Hot Wheels and if you google it you will see some amazing pic of it from different angles. 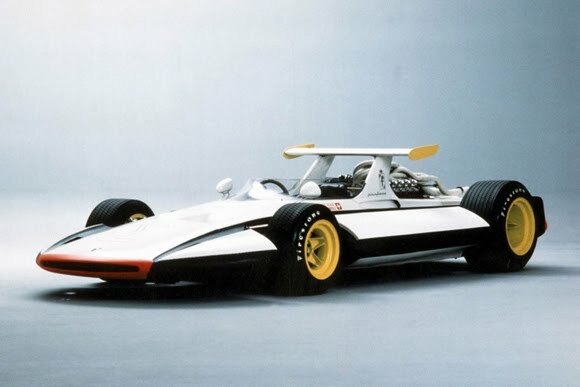 A beautiful car that was the brainchild of Paul Frère (race driver and car-journalist) from Automobil Revue, Pininfarina and Prof. E. Fiala, supported by Enzo Ferrari as well as Mercedes and Fiat.